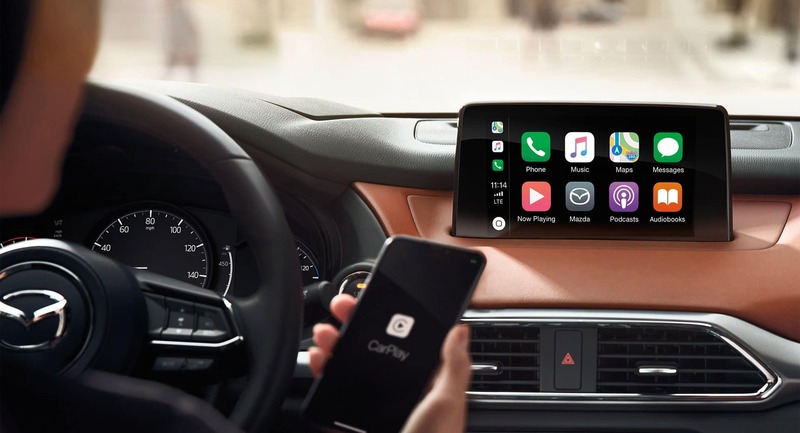 Experience the ultimate mobile connectivity with available Apple CarPlay™ integration (shown). Access your iPhone’s maps, playlists, contacts, compatible apps and more with your voice through Siri. Android Auto™ integration is also available. Everything you need is a tap or voice command away. Q: Is this available for my Mazda? A: Install time varies by model but on average takes roughly [x] hours to complete.